When it comes to oily skin, a foundation that can stay all day long while keeping your face shine-free is the best ally. 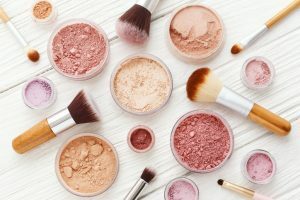 To fulfill that demand, makeup companies have released a lot of great foundations, but then how are we to choose the best foundation for us? It is also no question that the Philippine weather is no friend to people with oily skin. The hot and humid weather all year round causes oiliness and excess sebum production, making the search for the perfect foundation quite a challenge. But don’t fret! We’ve prepared some tips and recommendations to help you find that long-lasting, weather-proof foundation to keep your face shine-free. First, let’s start with how to choose a foundation. In order to prevent foundation from coming off easily, please take note of the following tips. First up is the powder foundation. Powder foundations absorb oil from your skin, making it long-lasting, even on oily skin. They usually come in a compact form, which makes it portable. Compared to liquid foundations—which need a setting powder—they’re also easier to apply. Therefore, they’re the perfect option for people who need frequent touch-ups throughout the day. 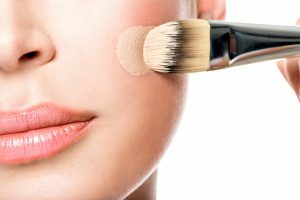 Some powder foundations can be applied wet or dry, and some can only be applied dry. When applied with a wet sponge, powder foundations go on just like liquid foundations, giving your skin a silky, smooth finish. Once the water dries, it firms up a bit and adheres to your skin. That makes it perfect for summer, when you’re sweaty and oily. Of course, there are a lot of amazing powder foundations in the market. But if you’re looking for something that’ll adhere for a long time, take dual application powder foundations into consideration. Quite similar to powder foundation is loose foundation. And among loose foundations, 100% mineral foundations are one of the most popular. 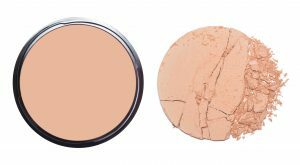 Both are powder based, but unlike the regular powder foundation, the grains in loose foundations are not compacted together. Therefore, they’re applied using a puff or a brush. Loose powder is both smooth and light-weight—but that’s also why it doesn’t adhere to skin as well, and it doesn’t absorb as much sebum. Since loose powders are not that long-wearing, they’re recommended for those who prefer light makeup, for those that don’t plan on staying out for too long, or for those that need quick touch-ups. It is important to remember that not everyone’s skin is the same. And as we age, our skin also goes through certain changes. For example, during puberty–from the early teens to early twenties–sebum production is highly active, so you only have to worry about oil control when choosing a foundation. But beyond the early twenties, it will be important to choose a foundation that is also moisturizing. 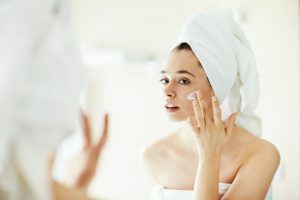 Once they hit their late twenties, a lot of people suffer from what’s known as “inner dry skin.” That’s when your skin is dehydrated on the inside—and the surface of your skin starts producing more sebum to compensate for the lack of moisture. You’ve got inner dry skin if, no matter what you use, it goes on wet and sticky, but ends up drying out over time. In that case, try essence liquid foundations, which contain moisturizing properties. For those with combination skin, you can use this foundation as a base–just make sure to set your T-zone with a powder foundation. Cream foundations adhere well to the skin and provide high coverage and a smooth finish. But, since they’re oil-based, they’ll combine with the sebum on your skin and slide right off. Cream foundation is also prone to clog pores, which may cause acne. If you’re prone to breakouts, avoid this type of foundation. We’ve always been told to pick the shade closest to our skin. But when it comes to oily skin, foundation tends to darken over time due to sebum secretion. So if you’ve got oily skin, take this into account when choosing a foundation. Go for a color that’s one shade lighter than your neck. Be careful not to choose a shade too light as it might look too unnatural–no one wants to walk around town looking like a ghost. Also remember that everyone has a different skin tone, also called undertone. Make sure to check whether your skin tone is warm, cool, or neutral. Basically, if you put a foundation on your neck and it looks good, then just go a shade lighter. We’ve given you some tips on how to choose the right foundation for you, so now it is time to introduce the 10 most recommended foundations for oily skin in the Philippines. 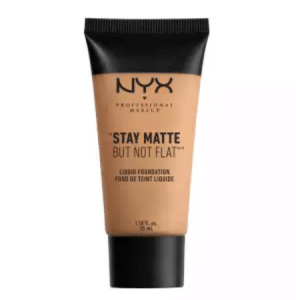 A little goes a long way with the Stay Matte But Not Flat liquid foundation by Nyx Cosmetics. It provides full coverage without making your skin appear dull. Plus, the water-based and oil-free formula makes it perfect for oily skin. This is perfect for those who want their makeup to last all day while also covering their skin imperfections. We have just two caveats. First, the water sometimes separates out—so you’ve got to shake well for smooth coverage. Second, if your T-zone is super oily, you’ll want to dab on a setting powder as well. 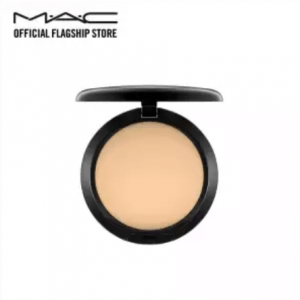 MAC Cosmetics is known for their high-quality range of products, and their cult-classic Studio Fix Powder Plus Foundation is one of their best. 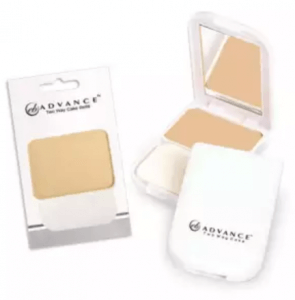 Compact and easy to apply, this powder foundation provides a medium to full coverage and matte finish. It hides your skin’s imperfections and keeps you shine-free. A little also goes a long way; that’s why, depending on usage, it can last up to six months. It comes in a variety of shades suited for different skin tones, so it won’t be difficult to find your perfect shade. This is perfect for those who prefer quick application without compromising coverage and quality. It’s recommended for those who can afford to splurge a bit on a good powder foundation. The Philippines has its share of well known local makeup companies, one of them being Ever Bilena. Ever Bilena has surprisingly improved with this product–when applied wet, it gives you a long-lasting full coverage look guaranteed to keep you shine-free all day. 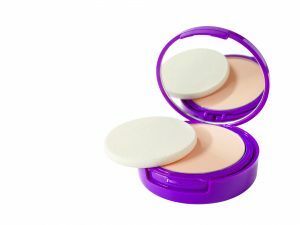 It can also serve as a setting powder or a touch-up powder when applied dry. It provides a light to medium coverage. Although limited to three shades, being a local product, it’s suitable for Pinay skin tones. The Ever Bilena Advance Two Wake Cake is both versatile and long-lasting. This product is recommended for those who don’t want to spend much money, but still get a quality product. 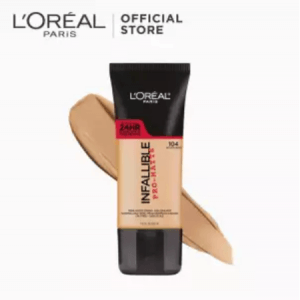 As the name suggests, you can’t go wrong with this liquid foundation from L’Oreal Paris that promises to stay all day long. Lightweight and creamy, this full coverage foundation applies smoothly with a demi-matte finish that evens out skin tone and keeps oil at bay. This recommended for those with oily to very oily skin, as it does an amazing job at oil control. If you have some dry patches, this might not be a good option as it has a tendency of emphasizing them. This finely milled powder hides fine lines, wrinkles, and blemishes while providing a long-wearing, flawless, and natural finish. 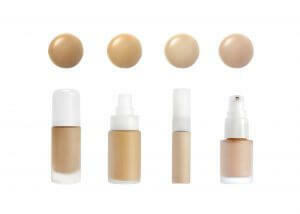 Depending on how much coverage you want, it can be used to set makeup or as a foundation. It doesn’t provide much coverage, so it performs best as a setting powder, as it absorbs excess oils to help your makeup last longer. But it does have a strong fragrance, so for those who are sensitive to smells, it’s might be better to try something else. Revlon’s PhotoReady line’s professionally designed formula erases flaws even under the harshest light. The Revlon PhotoReady Two Way Foundation has a soft texture and is easily blendable on the skin. You can apply this wet or dry, and it provides medium to heavy coverage without feeling or looking cakey. Just like the name suggests, this foundation is perfect for those who want to make sure to look good in photos. Its matte finish is also perfect to keep the oil at bay for a shine-free look, though you might need a few touch-ups after around four to five hours. 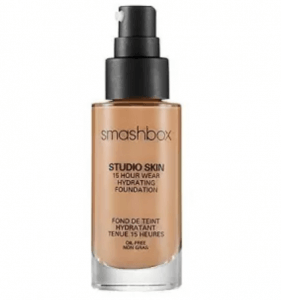 A little on the pricey side is this hydrating, but long-lasting medium coverage foundation from Smashbox. But with how this product performs, the price just might be worth it. It is transfer-proof, sweat-resistant, and smudge-proof. Plus it has been proven to last almost up to 24 hours! If matte foundations have a tendency of drying your skin, then this hydrating foundation is perfect for you. And just like Revlon’s PhotoReady line, Smashbox foundations ensure that you look good under any light. 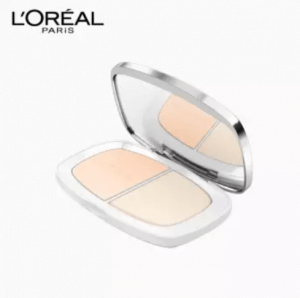 Promising to do the job of six products, the L’Oreal Paris True Match Even Perfecting Powder foundation is one hard worker. This foundation promises to prime, conceal, protect, mattify, cover, and control oil. 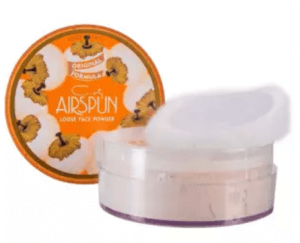 Furthermore it comes with a double-face puff for both light and full coverage application. 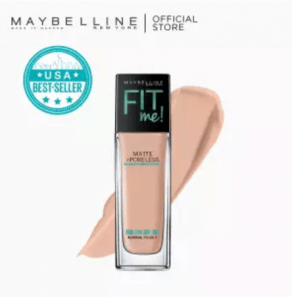 This foundation is perfect for those who want the benefits of several products in one. This product will blur your pores, conceal imperfections, protect your skin from sun damage, keep your skin shine-free, provide good coverage, and, most importantly, keep that oiliness at bay. 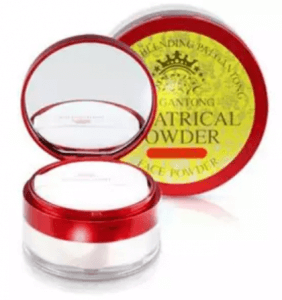 This loose powder from Palgantong is so famous that it has been nicknamed “Star Powder” due to its popularity with Korean movie stars. 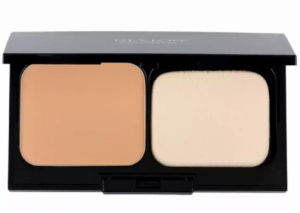 It gives a light, smooth and flawless coverage that can last all day. This product contains Ceramin, which is a special kind of powder from the UK that is known for its long-wearing properties and great oil control. Recommended for those who want natural flawless and smooth skin all day long. You can’t beat the price, quality, and coverage of this foundation–this is definitely one of the best liquid foundations for oily skin out on the market. It gives a medium but buildable coverage which covers minor blemishes, but for dark under eye circles, you might need a concealer. It can stay up to seven hours, although if you tend to get really oily around your nose, you might need some in-between touch-ups. It’s buildable coverage, matte finish, and llong-wearingformula make this one of the top choices for oily skin. This product might have a tendency to oxidize, so keep this in mind while choosing a shade. Let’s face it; sometimes finding the right foundation might not be enough to keep your skin from oiling up. So we’ve prepared a few tips to help keep your makeup from sliding off. Are you cleansing your skin well? Are you properly keeping it moisturized? For even better makeup application, we must first take care of our skin. Make sure to cleanse your skin of oil and dirt, and after it is squeaky clean, remember to moisturize! When it comes to moisturizing your skin, just remember that finding the right product is important. Different formulas mean different benefits, so pay attention to the main ingredients. The overproduction of sebum causes oily skin, so try a product that tightens up your pores. Try getting a toner that includes Vitamin C, which will both tighten and moisturize your skin. Effectively hydrating your skin will help stop your oil glands from producing too much oil. Hyaluronic acid, which naturally which naturally occurs in the human body, is one ingredient to look out for. It keeps the skin soft and supple, while keeping the moisture levels balanced. There’s also aloe vera, which usually comes in gel form. It contains several vitamins and minerals that nourish the skin. It also has natural astringent properties that absorb excess oil and other impurities. There’s a misconception that having oily skin means having to avoid emulsions or cream moisturizers. But in fact, these products serve as a lid or cover that prevent the moisture from evaporating. Just don’t go overboard with the application; a thin layer will do just fine on oily skin. Another trick to keep your foundation set is to use a primer. Just make sure to choose one that is suitable for oily skin–for example primers that are oil-free or powdery. Also, if your skin is acne prone, make sure to check whether the ingredients are non-comedogenic. Remember not to go overboard with the primer, as it may cause your foundation to look uneven and cakey. We just heavily recommended powder foundation to you—so you might be thinking, “Oh, then I don’t need a finishing powder, right?” Wrong. Finishing powders can absorb excess oils that a simple foundation can’t control. That means they can also tamp down on shine and help your makeup stay on longer. Also, when you layer on a setting powder, it makes your skin look more translucent. Not much to complain about. That must’ve been a lot to take in, but hopefully, this guide helps you choose that perfect foundation for oily skin. After all, Philippine weather is really no joke when it comes to oily skin. An adequate skincare routine plus a foundation that matches your skin’s needs is what you need to find. May we all be able to find that perfect match to give us smooth and flawless skin.